Toss this salad together for your next potluck or summer barbecue. 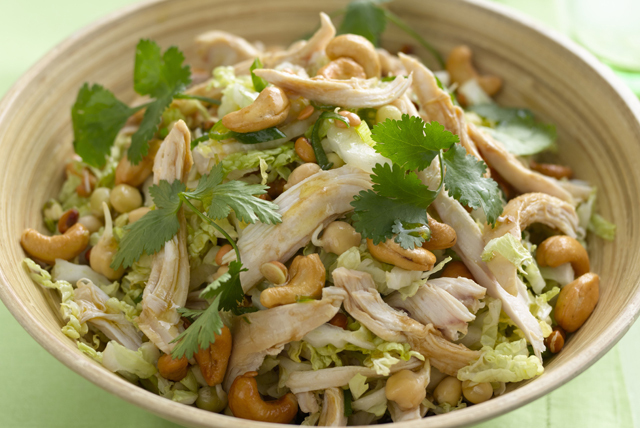 Fresh napa cabbage tossed together with rotisserie chicken, cilantro, chickpeas and green onions makes a simple, flavour-packed salad recipe. Combine first 6 ingredients in large bowl. Mix remaining ingredients until blended. Add to cabbage mixture; mix lightly. Prepare using regular green cabbage.